We provide a wide array of services to help small to mid-size businesses grow. By providing a complete digital solution, we simplify the process for our clients while significantly improving their outcomes. Business owners are often forced to hire 2 different companies. The first will build the website then the second will create and manage the online marketing campaigns. This causes many problems. The website design company is often unfamiliar with aggressive online marketing strategies and will design the site in such a way that causes problems for the marketing team. The marketing team often doesn't have the technical expertise to work with custom websites and have difficulty integrating their solutions. The result is often a very clumsy, modular set of tools that don't work well together and severely underperform in conversion rates and overall results. "Our clients expect more. 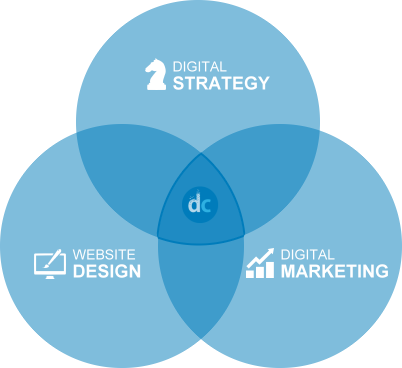 We have been providing BOTH website design and digital marketing solutions for over 20 years. We are strong in both areas and our solutions are tightly integrated. From the first moments of planning, we are anticipating and integrating our marketing solutions right into the very fabric of the website design process. The result is a highly efficient marketing machine that often performs so smoothly that the lines between website design and digital marketing are blurred."